Happy Friday everyone! 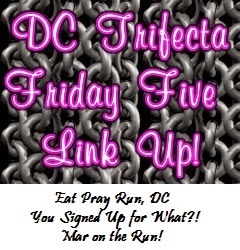 I'm finally getting back to my normal schedule, and am joining back in with the Friday Five linkup hosted by Courtney at Eat, Pray, Run DC, Cynthia at You Signed Up For What?, and Mar at Mar on the Run. Thanks for hosting, ladies! (Click on the links for each lovely lady to read their FF posts and to find other blogs to read from the linkup). 1. Jillian Michaels 30 Day Shred - I love her quick 25–30 minute videos that are tough as nails. You can squeeze in a workout even if you are pressed for time, and you know you're making those 25 minutes count. 2. Jillian Michaels Body Revolution - see above. 3. 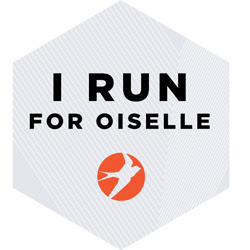 Treadmill - I know most people hate the treadmill, but when it's too cold/icy outside in the winter, or too hot/humid in the summer, it's a great way to still get in my runs. As long as I have some good music or a good movie/tv show, I find the time to go by quickly enough. Mind you, I don't want to do my long long runs on there, but it's a great way to do the maintenance ones if the weather outside isn't to my liking. 4. Yoga - Great way to strengthen your body, as well as relax, burn calories, and fine tune the muscles. 5. Barre Classes - another great way to burn calories, build and lengthen muscles. I couldn't afford classes in the city anymore, but there is a Barre Pilates class at my gym that I'm going to try out next week. What are your favorite go-to indoor workouts? Great list. The treadmill may not be fun, but better than not running. I really need to start giving yoga a real try. I agree - it's nice to have the option to run indoors if the weather isn't safe/cooperating. Jillian's 30 Day Shred is awesome! I remember the first time I did it I was sore for days after haha! Yes - it's really tough, even on Level 1 and using the modified versions! I love spin class and Zumba. I have been wanting to try The Bar Method. From what I hear it is very similar to the Barre classes. I don't know any place near me that overs Barre though. I've been wanting to try a spin class, but haven't gotten around to it yet. I did The Bar Method for a month and LOVED it. For sure. That's a bummer - I hope you are able to find one soon. I've never used Jillian Michael's DVDs, but I know several people who have. 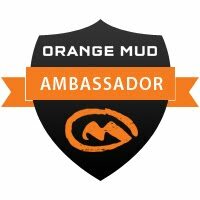 I should try it out one day, people seem to love it! They are so great, especially because they usually offer different levels, so say Level 1 is getting 'too easy', you can move on to Level 2 for more difficult exercises. I concur on 30 Day Shred - it's a quick hard workout. And if I like I need more, I can just take the second level. Exactly! I've definitely seen results when I stayed consistent with it (in my energy levels, my stamina, and muscle definition).